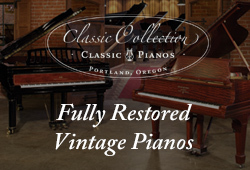 Description: Estonia has been a favorite piano maker of ours here at Classic for years now. They are a top tier hand-made European piano know to project a very clear bell like treble and robust bass that is very unique to the brand. Estonia uses all European parts and materials in their piano’s construction including tonal spruce sourced from the Swiss alps, Renner action components and Renner hammers from Germany. Estonia only produces 140-150 pianos per year and candidly admits they have no intension of increasing production. 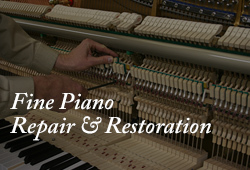 As a handcrafted piano manufacturer, they feel that producing more pianos would hinder them from the intense attention to detail that each of their pianos receive during their build. This 190 Hidden Beauty model was sent to us after an Estonia authorized repair and is in brand new showroom condition but now considered "used" inventory at a substantial savings. 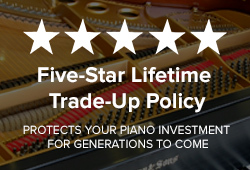 This piano is being sold with a 10-year Estonia Factory Warranty and a discounted price.